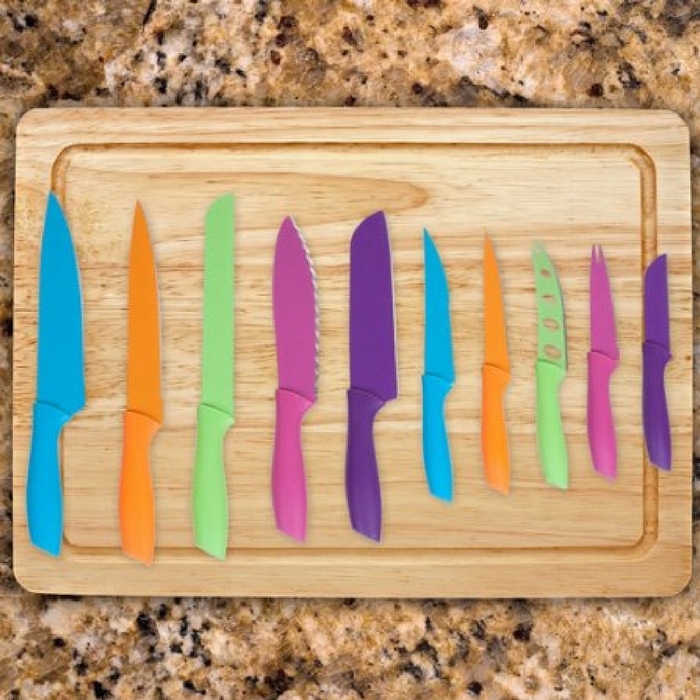 10-Piece Multicolor Knife Set With Magnetic Knife Bar Just $20! Down From $80! You are here: Home / Instagram / 10-Piece Multicolor Knife Set With Magnetic Knife Bar Just $20! Down From $80! These are not just 3 or 5 or 8 but 10-piece knife set! Go to Groupon to score this amazing 10-Piece Multicolor Knife Set With Magnetic Knife Bar for just $20 down from $79.99 PLUS FREE shipping for orders over $35! Classic Cuisine’s versatile knife set comes with a magnetic bar for keeping the blades tidy while allowing for easy access. Each of the bright knives is crafted from stainless steel and finished with a layer of stick-resistant coating. These vivid colors help to prevent cross-contamination during food prep, which can be important for those with dietary restrictions or food allergies.